Read about - Record Shark Catch below. 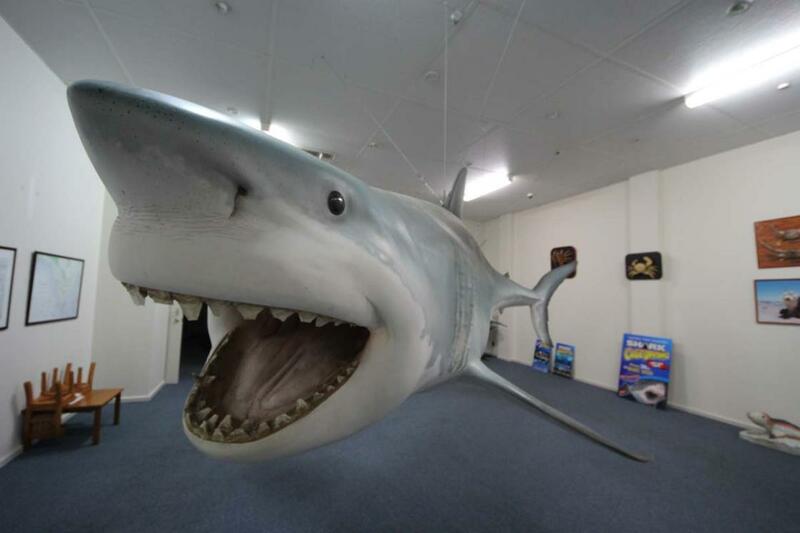 The replica of the largest Great White Pointer Shark caught on rod and reel can be found at Stewart's Roadhouse in the centre of Streaky Bay. There are a number of pictures and newspaper articles hung around the wall that tell you the story of how this Shark was caught. After we had looked around the shark we decided to try the takeaway fish and chips available at the Roadhouse - very fresh and well cooked. There are tables provided to eat you meal at the roadhouse and they also have a range of souvenirs. Of course they also sell fuel - we found the service to be very friendly. "Come and see the replica of the largest Great White Pointer Shark caught on rod & reel"
have you been to Record Shark Catch? Explore Record Shark Catch - Streaky Bay with RvTrips and find out where to stay, what to do and what to see. Helping caravan, motorhome and camper owners have a great holiday.